Murcia & Co | Specialist in the replenishment of core diamond and tanzanite jewellery. The word diamond comes from the ancient Greek word ‘adamas’ which means invincible and indestructible. Diamonds are the hardest gemstone, they are, in fact the hardest natural substance known to man. •	Free of colour enhancement, laser drilling, fissure-filling and fracture treatment. Murcia and Co diamonds only come from sources which are committed to rigorous environmental and ethical standards of which benefit the people and the countries of which they originate. All Murcia and Co diamonds are purchased through specially selected distributors whom have been chosen by the De Beers Group, otherwise known as DTC sight holders. 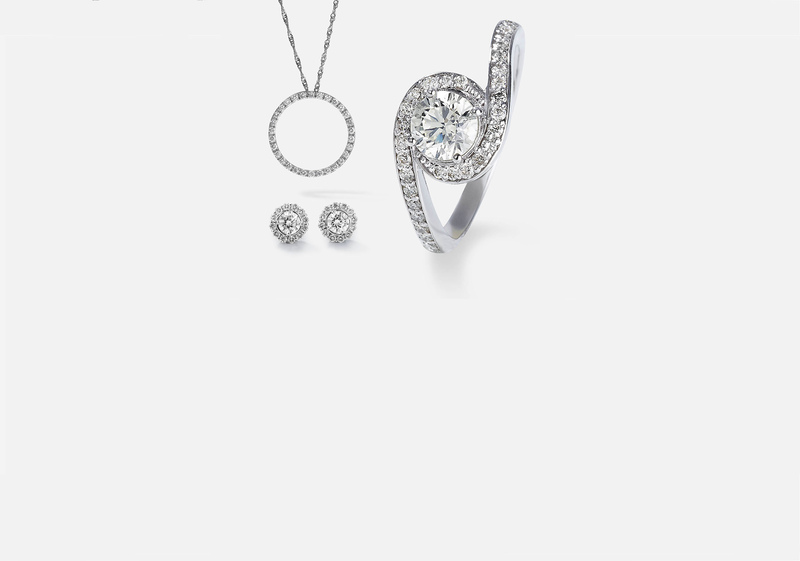 Our promise to you is that are diamonds are natural and conflict free. The integrity of our diamonds has been protected at every step of its transformation from rough to polished. To standardise descriptions of every diamonds characteristics, a language known as the ‘Four Cs’ was developed. Each of the Four Cs describes a diamonds specific characteristic –its Cut,Colour,Clarity and Carat Weight. Our diamonds are produced by highly trained craftsmen whom cut diamonds with precision and the utmost delicacy to maximise their brilliance and fire. Set apart for their cut,clarity and colour, Murcia and Co diamonds go through a strict process of purchasing to ensure the full beauty and brilliance for you, the client. • Free of colour enhancement, laser drilling, fissure-filling and fracture treatment. Tanzanite is regarded as the celebration of new life and new beginnings. Their colour is known to be more intriguing, more alluring, and more exotic than any other gemstone. Found only in Tanzania, the gemstone was named Tanzanite, after its country of origin. Murcia and Co tanzanites only come from sources which are committed to rigorous environmental and ethical standards which benefit the people and countries of which they originate. All Murcia and Co tanzanites are purchased through specially selected distributors who have been chosen as Tanzanite One sight holders. 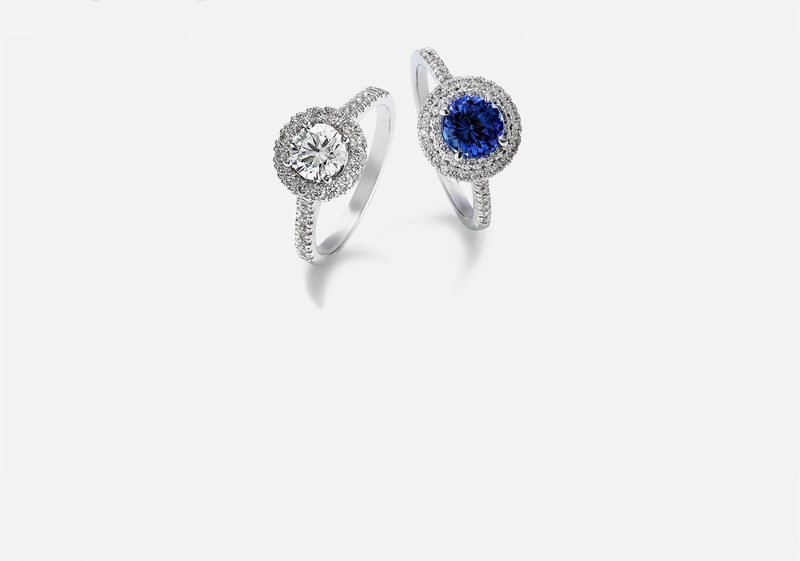 Our promise to you is that our tanzanites are natural and conflict free. The integrity of our tanzanites have been protected at every step of its transformation from rough to polished. Our tanzanites are produced by highly trained craftsmen who cut with precision and the utmost delicacy to maximize their luster. Murcia and Co tanzanites go through a strict process of purchasing to ensure the full beauty of the stone, for you, the client. In order to open an account, clients will be required to complete a Murcia & Co credit application form. Once all documentation has been signed and delivered to Murcia & Co, please allow a maximum of 48 hours for approval of account. To place an order with Murcia & Co, please call our office number on 021 418 7891 or alternatively email all orders to jarrid@murciaco.com. • The style code provided. All in stock items ordered before 1pm will be delivered within 48 hours. There will be no delivery charge on orders over the value of R3000. All merchandise may be returned within 10 days from invoice, provided it is returned with in the same condition that it was delivered. All merchandise returned is at the cost of the client.